Taken with the 42nd overall pick in last years draft right-hander Kevin Gowdy is a pitcher that the Phillies have very high hopes for in becoming a special part of the team's future. Heading into the 2016 draft, Gowdy, who had a UCLA commitment, had tallied a 4-1 record with a 1.59 ERA while striking out 93 and walking just five in 56 2/3 innings as a senior. He also won a gold medal with the United States U-18 team in the 2015 WBSC Baseball World Cup, pitching in two of his team's big victories in the tournament. 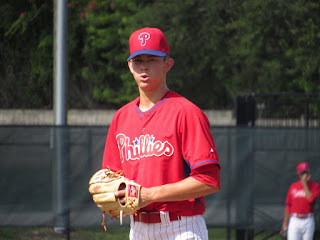 In four regular season appearances with the Rookie level Gulf Coast League Phillies after signing his first professional contract, Gowdy posted a 0-1 record while allowing four runs, striking out nine and walking two over nine innings. In the GCL title series, he threw two innings, allowing two unearned runs on two hits without recording a strike out or a walk. His three-pitch menu is something the Phillies liked a lot about the young California that was said to be one of the most polished high school hurlers in the 2016 draft class. His fastball can range low-to-mid-90's and he tosses it with great command. A long, explosive stride along with his lean six-foot-four 170-pound frame helps him get some extra giddy-up on the fastball and put pressure on the opposition. He's also equipped with a slider that has great movement with potential to become a plus offering as well as a change up that compliments his fastball well, dropping off 12-15 MPH from the heater. The control for Gowdy is a big plus. He is very consistent with his mechanics, which helps to solidify his delivery and offer reliable efforts on the mound. Reports state that his work ethic and maturity are standout qualities for Gowdy as well, which will help him take strides toward higher levels at a quick pace. On many outlets' draft projections, Gowdy was ranked higher than 42nd, so it seems that the Phillies were lucky that he was still available where they got him. The team signed the young talent for a reported $3.5 million. 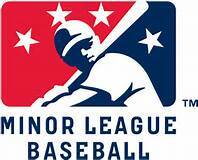 Look for Gowdy to be a part of the Class A Lakewood BlueClaws at some point this coming season.